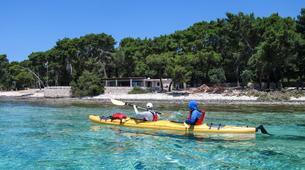 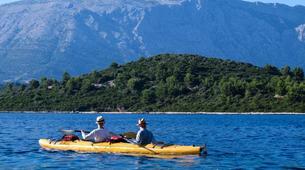 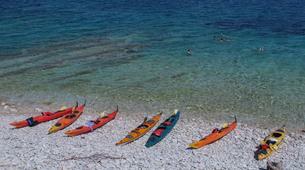 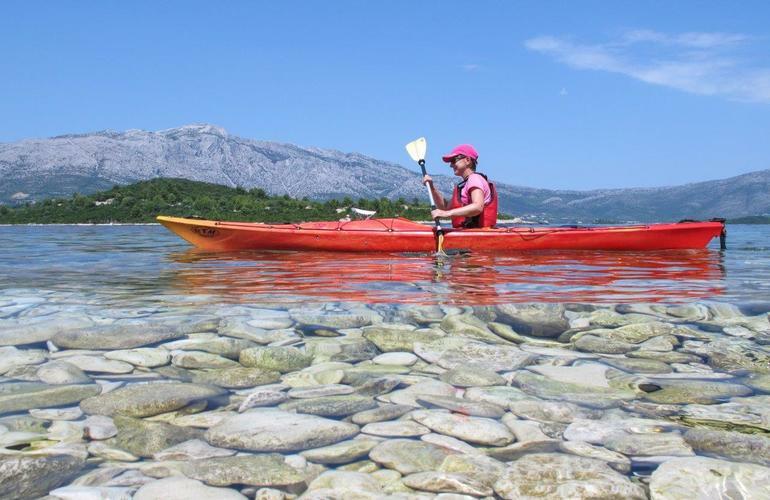 Paddle through the crystal clear waters of Korčula, one of the most beautiful corners of the Adriatic Sea. 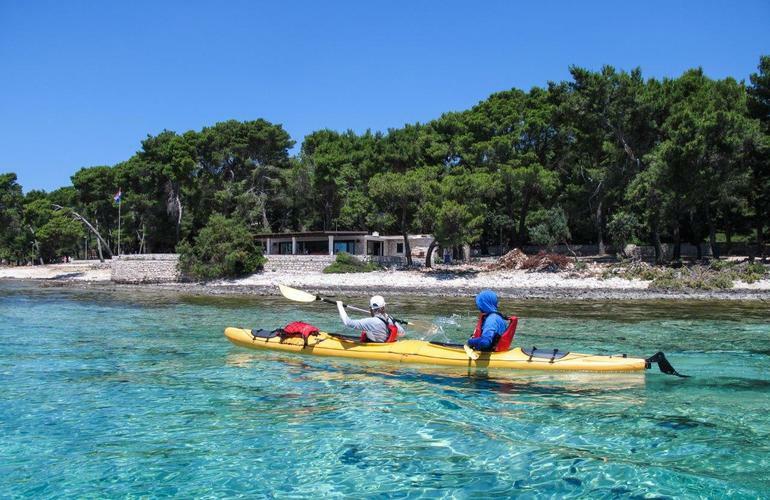 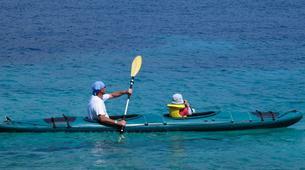 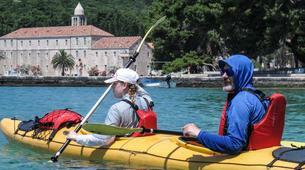 Korčula Outdoor has over 20 years of experience on these waters and will guide you along this four-hour kayaking journey through pebble beaches and secluded and protected coves. 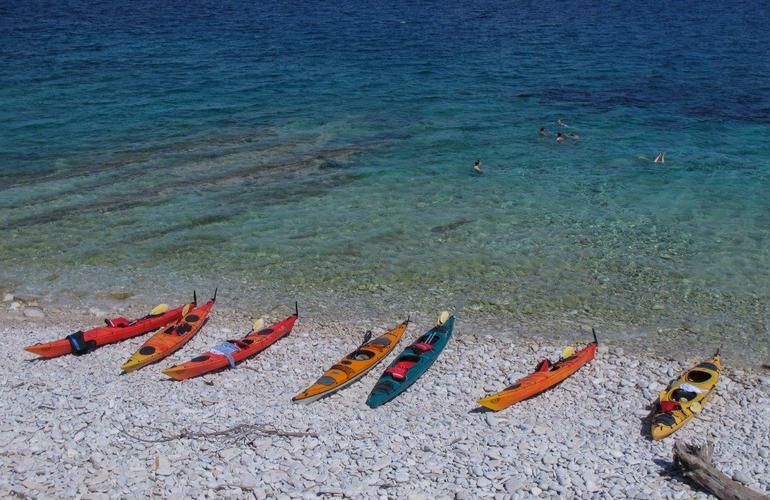 The tour will start with an introduction to the activity and equipment followed by a safety briefing, then it’s time to grab a paddle and set out for the water! 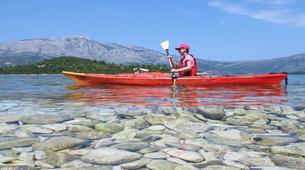 The team uses only carbon paddles, a very high-quality material! 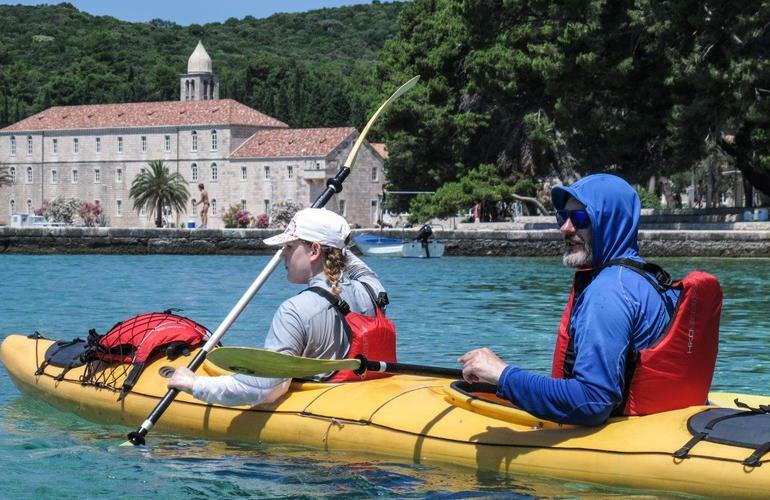 A guide will lead you from Korčula around islets with stops for swimming, snorkeling, and a few historical tales…Marco Polo was once captured on these waters by the Genovese fleet! 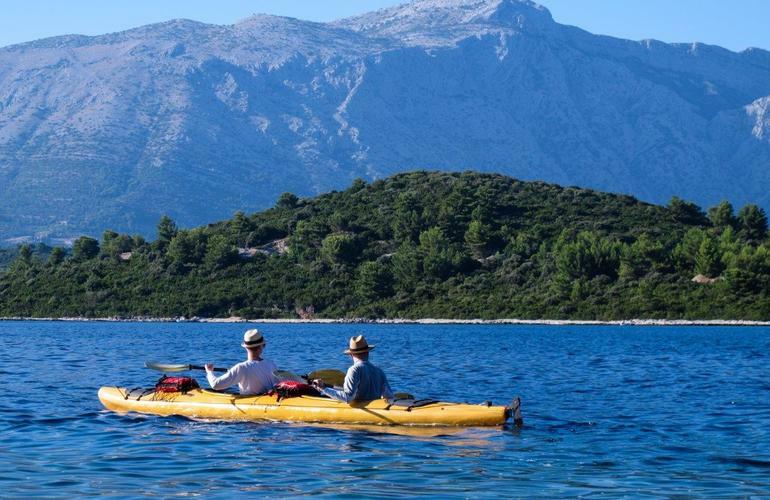 You will enjoy an incredible backdrop of the Saint Ilija, a mountain standing almost a kilometer above sea level guarding the straight between Pelješac and Korčula Island. 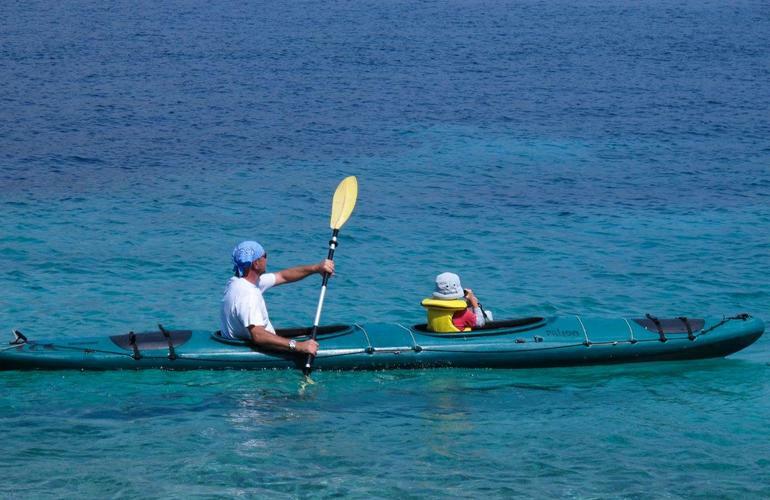 This is a beautiful sea adventure you will never forget!